Obey the unicorn. Download this game. PopCap Games' award winning Peggle is available on so many devices that we wrongfully assumed it existed on the iPad in some fashion. Much to our surprise, the company had yet to bring its super addictive puzzler to Apple's wonder tablet, at least that was the case less than 24 hours ago. Call your family and tell them you'll be away for a while, because Peggle HD just hit the App Store. 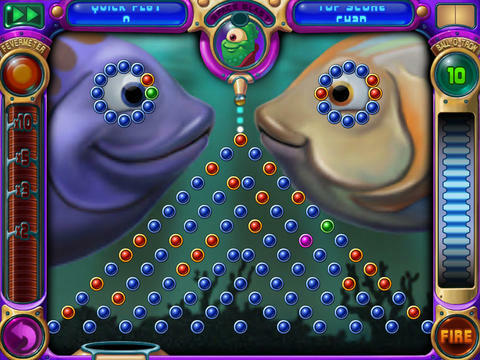 Think of Peggle as a cross between pinball, pool and pachinko. Each stage throws a bunch of multi-colored pegs onto the screen and tasks you with eliminating the orange ones while earning big points along the way. To do this, you drag a finger around the screen to line up a shot, then unleash a silver ball onto the playfield, watching it bounce and ricochet off pegs, walls and other objects until it reaches the bottom of the screen, whereupon which it disappears (you get ten shots per stage) or gets saved after falling into a basket that moves back and forth. That's essentially the gist of it, and rest assured that Peggle's insanely addictive. Going for every last orange peg will keep you hooked for hours, but PopCap ups the ante with point multipliers, trick shots and a variety of power-ups to give you that all important edge; the multi-ball comes in handy. Meanwhile, the game comes with a plethora of attractive backgrounds set underwater and even Egypt, to name a few places. What's more, the catchy tunes will make you nod to the beat. Now in addition to the main game, you can also unlock the extremely difficult Challenge mode, where you must eliminate an obscene number of orange pegs or obtain a set score. There's also Duel mode, which lets you compete against a friend using the same iPad. PopCap even included Game Center support, complete with leaderboards and achievements, as well as the follow-up, Peggle Nights, though you only receive five levels for free, and must spend $0.99 (introductory launch price) to unlock the rest. Not bad, but since Peggle Nights debuted in 2008, the company should have just made it part of the package. Either that, or charge an extra buck for the whole shebang. That's just a small gripe for what is without question one of the most beautifully crafted and fun video games to come along the past ten years. 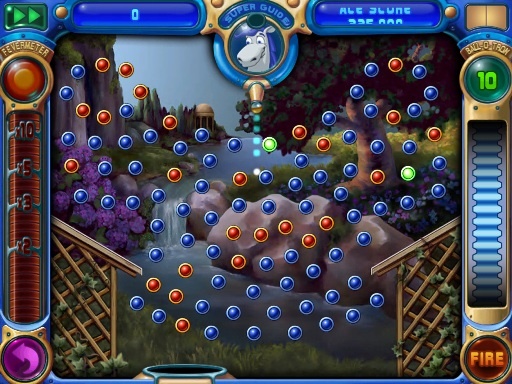 Peggle HD will be familiar to millions, but for those who have yet to experience this masterpiece, oh, how we envy them. What's Hot: Classic Peggle experience, plenty of challenging puzzles, user-friendly touch controls, attractive 2D graphics, catchy music, Game Center support. What's Not: Nothing new, in-app purchase for Peggle Nights.